Test concepts and designs, measure brand recognition or explore consumer associations. We provide your target group and together we develop a perfectly tailored survey solution. Appinio conducts market research in more than 40 countries worldwide. Upon request, we also offer translation services for surveys. 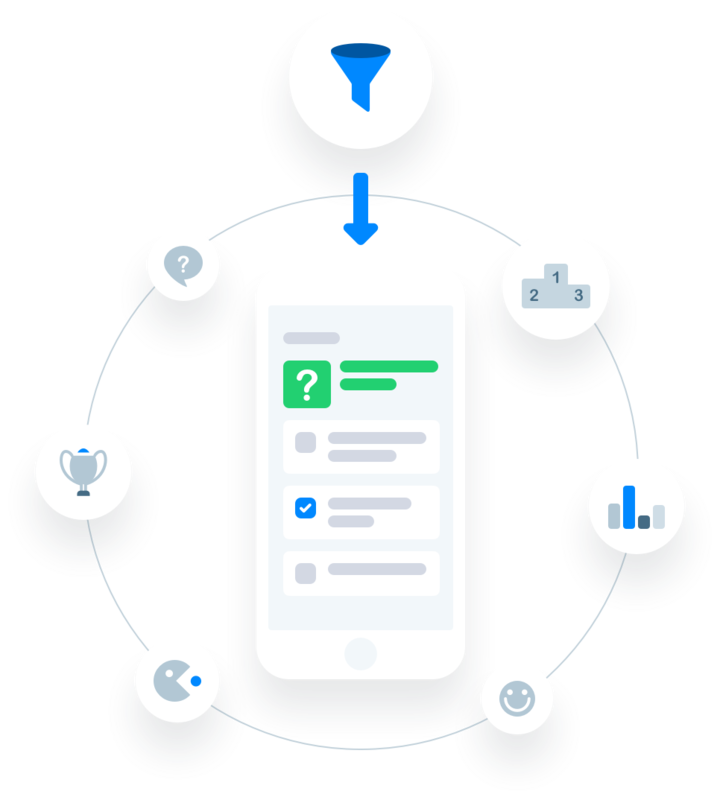 Appinio offers all the tools for succesful market research, from open or closed questions to multiple choice, ranking or scale questions up to questions including images. Ask participants to take a picture, play videos, or use the heatmap to analyze which part of a picture attracts most attention. The vast majority of people like to share their opinions and compare them with those of society at large. That's why, from the beginning on, we designed Appinio as a platform of opinions to enable this unique exchange and comparison. The use of the app does not convey the feeling that it is about market research. Rather, users spend most their time answering brief multiple choice questions and immediately evaluate how their answers compare to those of others. These factors enable Appinio to deliver extremly high data quality, which cannot be met by traditional online-panels. 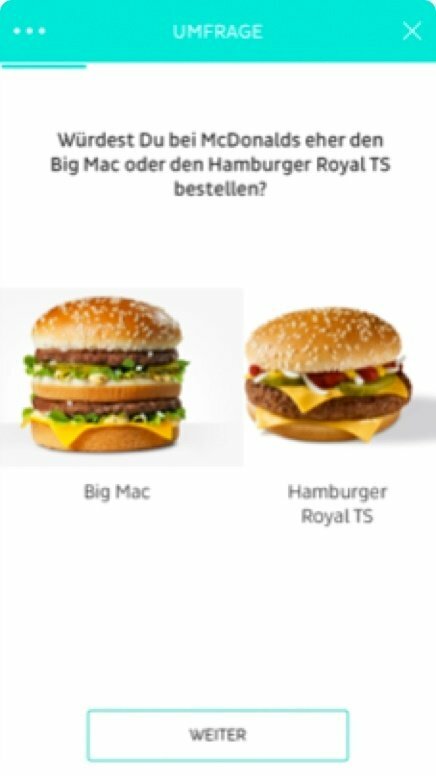 Keyword rewards. Continuously updated and relevant content, elements of gamification and the mobile-optimized design offer entertainment for our users and in turn increase response quality. Contrary, in traditional market research, panelists participate for a single reason: They get paid. Due to this unique approach to activate intrinsic motivation of users, the Appinio panel represents a well balanced sample of the population, rather than a selection of particpants with an affinity for market research. Through its mobile approach and a subtle screening process, Appinio achieves an extremely high data quality which cannot be achieved with traditional survey methods. Much of this is due to the innovative screening process, that determines which participants qualify for certain surveys. Contrary to traditional market research, Appinio detaches screening questions from surveys. The traditional market research approach, which places screening questions at the beginning of a questionnaire, often suffers from poor data quality because participants give biased answers to screening questions, hoping to participate in more surveys, and to gain more rewards. 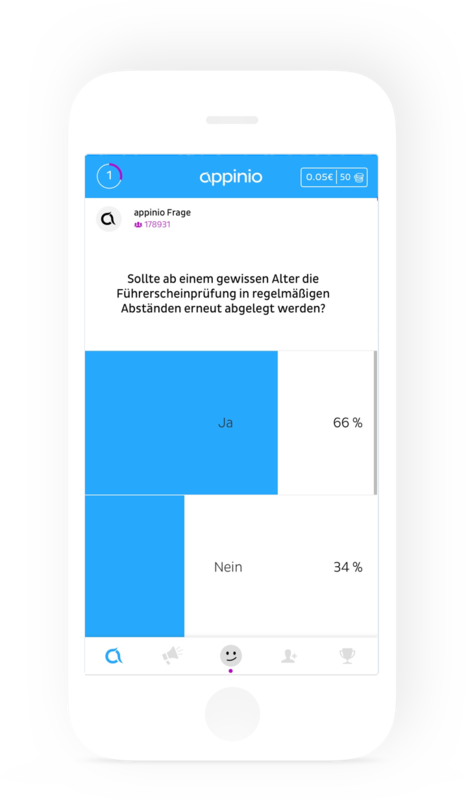 To overcome this bias, the screening questions in the Appinio app are short, subtle and completely detached from the survey. This eliminates the link between the screening question and the survey, so that respondent biases can be greatly reduced. Consequently, Appinio questionnaires do not require screening questions and are only played out to participants who previously qualified by answering a short screening question. This also avoids the frustrating experience of screen outs, in which a survey is closed for a participant shortly after it starts and the participant is left without any rewards. The innovative screening process ensures Appinio’s high data quality which is hardly achievable by other online survey methods. 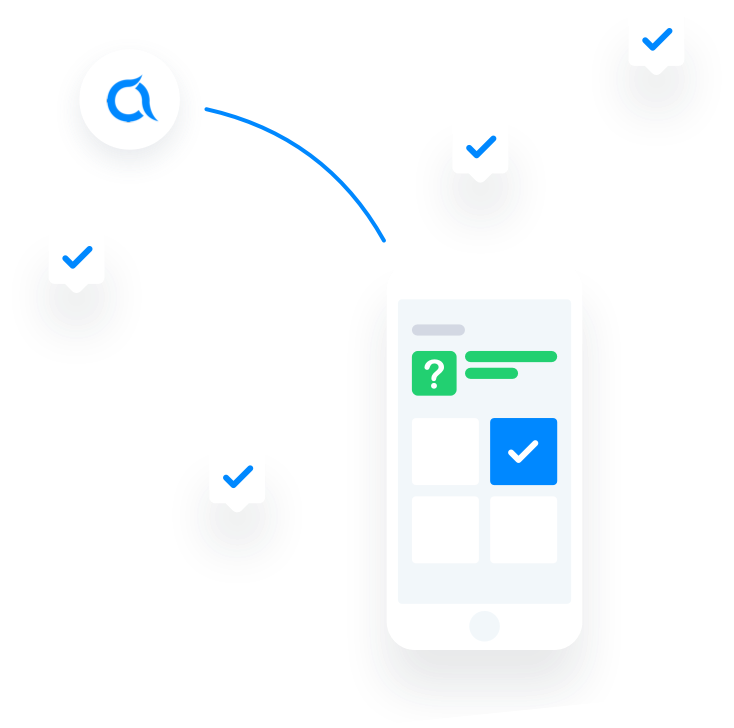 Being a native app, Appinio is designed with a great user experience and easy answering of surveys in mind. Compared to other survey methods, such as browser enabled survey solutions, Appinio surveys better support images, videos or voice recordings and are more reliable. For instance, questions in which participants are asked to take a picture or video would not be possible in a browser solution. Due to the entertaining, partly thought-provoking contents of our app, Appinio maintains a very high user engagement. Users open the app on average 6 times a day and then spend several minutes answering questions and collecting coins. 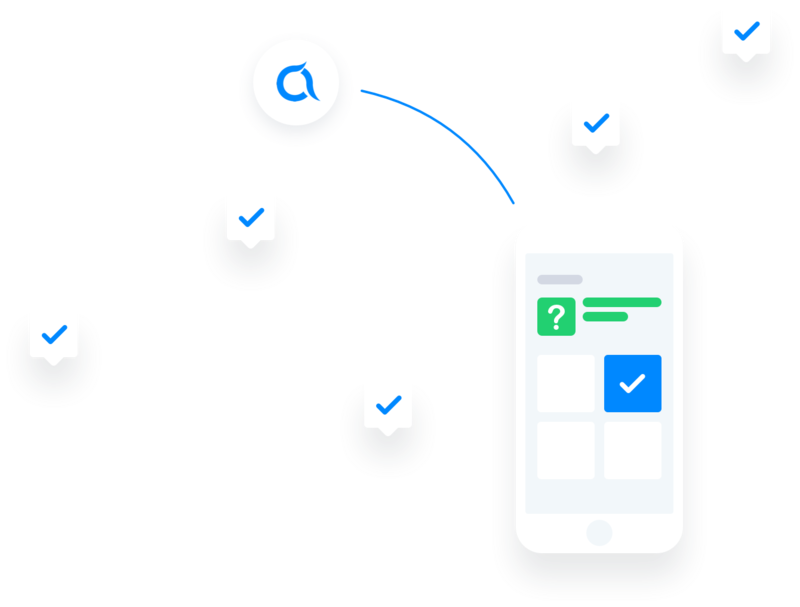 Owing to this high user engagement, as well as the ability to send push notifications to users, Appinio can collect thousands of opinions within minutes. The high motivation of participants also reflects in the answering of open-ended questions: More than 90% of open-ended questions are supported with detailed and relevant answers. At Appinio, we greatly emphasize and value a representative dispersion of our panel, and therefore use a wide variety of sources for user recruitment. In addition, the underlying structure, which enhances intrinsic motivation, minimizes the number of “incentive-hunters”. One user, one device: Appinio's mobile panel consists exclusively of verified participants. Each panelist is limited to one mobile device. This ensures that users cannot set up multiple accounts on one device in order to earn more coins. One person, one device, one account. The app automatically recognizes and filters click throughs and atypical answers–straightliners and speeders don’t stand a chance. Further, control questions ensure user attention and data quality. 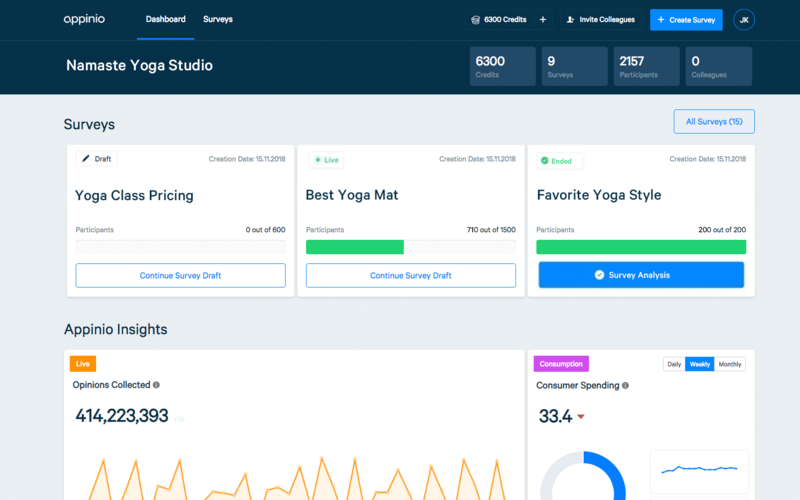 In addition to allowing users to share and compare opinions, Appinio also builds on the benefits of gamification. 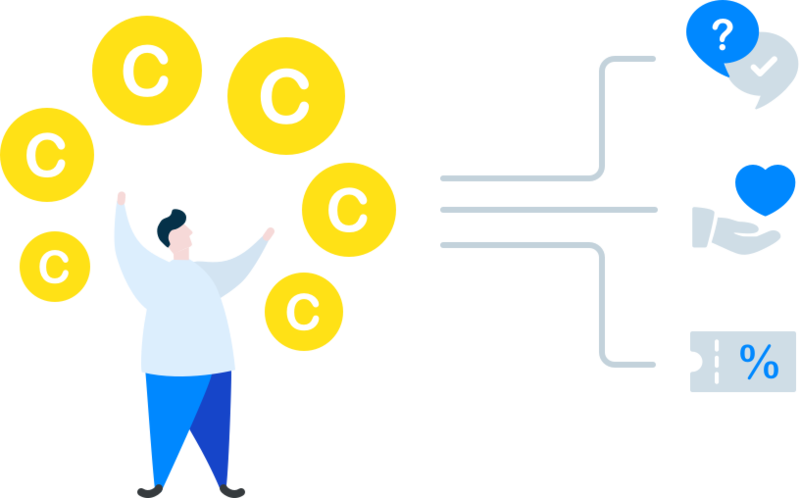 Next to feedback from the community, participants collect coins once they complete a survey, which they can use to post their own questions. Within just a few minutes, users receive hundreds of anonymous answers to their questions from other users. Alternatively, coins can be donated or exchanged for vouchers.